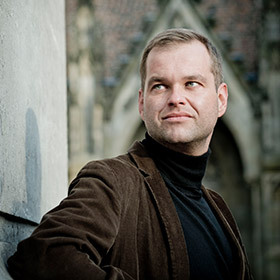 The bass-baritone Thilo Dahlmann grew up in the Hunsrück (Germany) and studied voice under Ulf Baestlein, Berthold Schmid, Guido Baehr and Wolfgang Millgramm at the Folkwang College in Essen, where he passed his concert examination with distinction. His collaboration with Roland Hermann also contributed significantly to his formation as a vocalist. He won the first prize at the North Rhine-Westphalia State Competition. Thilo Dahlmann was a member of the International Opera Studio of the Zurich Opera House, where he performed many roles. 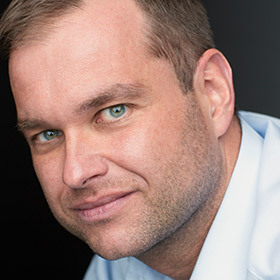 The young bass baritone has guested at the German Opera of the Rhine in Duesseldorf, Wuppertal Buehnen, Koblenz Theater and St. Gallen Theater (Notturno/Schoeck). 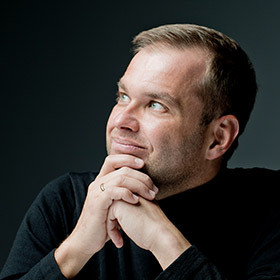 He has sung important bass baritone roles in Germany and abroad under conductors such as Thomas Hengelbrock, Peter Neumann, Frieder Bernius, Franz-Welser-Moest, Nello Santi, Philippe Jordan, Helmut Müller Brühl, Richard Mailänder, Hansjörg Albrecht, Michael Alexander WIllens, Andreas und Christoph Spering and Masaaki Suzuki. Concerts have taken him to Salzburg Festival, Folle journée de Nantes, Bachfest Leipzig, the Cologne and Essen Philharmonic Halls, Baden-Baden Festival Theater, Metz Arsénal, Zurich Tonhalle, Duesseldorf Tonhalle, Tokyo International Forum and Amsterdam Concertgebouw. Recently he sang at the opening concert of Hamburg´s Elbphilharmonie. 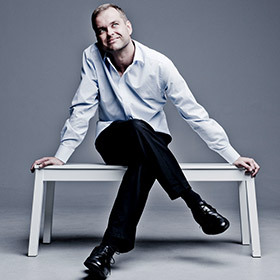 DVD-Productions by the Zurich Opera House and radio (DLF, DW, hr, WDR, France musique), television (arte, nr4) and CD productions (cpo, querstand, challenge) are also among his performance credits.The Austrian Label Capriccio just released a Debut-CD of Schubert-Songs, accompanied by Charles Spencer. He is teaching as Professor of singing at the Musikhochschule Frankfurt and was a visiting Professor at Graz University. Works by Schubert, Schumann and others. Works by Richard Wagner arranged for baritone and organ.